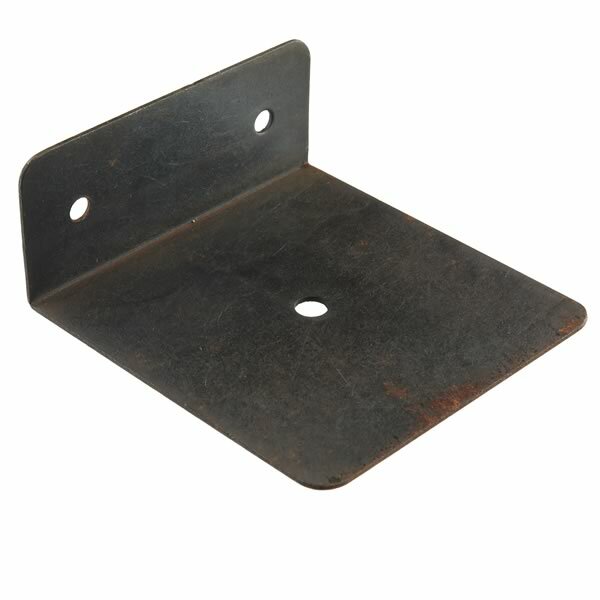 G23832 - Super Strong Steel L-Bracket 2.5" x 2.38" x 1"
Super Strong Steel L-Bracket 2.5" x 2.38" x 1"
Steel L-Bracket measures 2.5" long x 2.38" wide x 1" tall. Has two 0.160" diameter holes (6-32 size) on the 1" high section on 1.5" centers and one 0.20 (10-32 size) hole in the center of the main section. Thickness of steel is 0.034". Bracket is black but may have some slight rust cosmetic spots from storage.